Our school book fair is in full swing! Peace…love…books! Please visit and purchase some of the new and interesting titles available! I’ve already started my list of what to buy. Blocks 1, 4, 5: Today in class we visited the book fair for you to purchase and/or browse to see what books are available. Then we returned to the classroom and discussed a completed citations for a works cited page. We will be in the computer lab later this week to continue our research paper. Tomorrow in class we will begin revising and editing our rough drafts. Blocks 2, 3: Today in class after we visited the book fair, we returned to class and discussed part one of our book, Unbroken. Tomorrow in class we will do a carousel discussion and on Wednesday you have a vocabulary test over the first set of vocabulary words from the book. ALL BLOCKS: I will be taking you to the Book Fair on Monday during class. You will have a chance to browse, make a list of books that interest you, and even purchase if you bring money. Blocks 1, 4, 5: Today in class we were in the computer lab for you to finish typing your rough drafts of your research papers. You should have had plenty of time to type and print your rough draft, but if you did not, you should have saved it to a flash drive to finish at home or plan to come in before school Monday to finish. HW 1, 4, 5: None, but finished rough drafts will be due Monday at the end of class. Blocks 2, 3: Today in class we watched the book trailer video for next week’s book fair. Then you finished reading chapter 5 in Unbroken with a partner or independently. You had time to update your “twitter” summaries and your character chart. There were several examples of Louie showing perseverance in part one. Blocks 1, 4, 5: Every day we’re researching…today we were in the computer lab for you to start typing your rough drafts including your introduction, 2 body paragraphs, and conclusion. Many of you were able to complete this and start on your works cited pages. We will be in the computer lab again tomorrow to finish our rough drafts and print them. Blocks 2, 3: Today in class you read chapters 3 and 4 with a partner or independently, then started “tweeting” your summaries for each of the first 4 chapters. You also had a reflection to write about goals that you have envisioned for yourself. HW 2, 3: Vocabulary test over part 1 words is next Wednesday, 3/2/16. Blocks 1, 4, 5: Today in class we reviewed writing an introduction paragraph and then discussed how to write your conclusion. We practiced writing a conclusion in class as a model, then you had time to work on your own individual conclusion for your research paper. We will be in the computer lab tomorrow and Friday to type our rough drafts. Blocks 2, 3: Today in class we finished the definitions for the first set of vocabulary words. Your test over these words will be next Wednesday, March 2. Then we continued reading Unbroken aloud. Tomorrow we will finish chapters 3 and hopefully 4. Blocks 1, 4, 5: Today in class after your completed your warm up, we discussed how to write topic sentences for our body paragraphs. Then we “walked through” how to write an introduction for your research paper. One lucky student in each class got his/her introduction written as the example! You received a handout showing exactly what needed to be in each sentence of your introduction and a “fill-in-the-blank” thesis statement you could use to help you get started on writing a good thesis statement. We did not have time for everyone to finish writing their introductions in class, so it needs to be completed at home tonight. Blocks 2, 3: Today in class we discussed the anchor activities we will be completing throughout our study of the book Unbroken. We also began creating a graphic organizer/index cards of the vocabulary words you need to know for the first 5 chapters. We read the introduction and most of chapter 1 aloud and discussed. Louis Zamperini – he is definitely a character! HW 2, 3: IF YOU HAVE NOT TURNED IN YOUR RESEARCH PAPER THAT WAS DUE FEBRUARY 12, YOU MUST TURN IT IN BY TOMORROW. OTHERWISE YOU WILL RECEIVE A ZERO THAT WILL SHOW ON YOUR PROGRESS REPORT THIS FRIDAY. Blocks 1, 4, 5: Today in class you received a new warm-up (skill review for context clues). We reviewed some reading comprehension strategies and then you read a story “My First Baseball Game” and answered the questions about the story. Your outlines for your research paper are due and should be turned in by tomorrow! 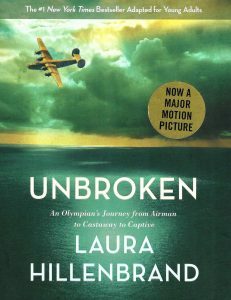 Blocks 2, 3: Today in class we started discussing our new book, Unbroken, and learned a little about the author. If you go to the Class Information page for blocks 2, 3 you will find the video links and the guiding questions for your 1-2 paragraph reflection about the author. Blocks 1, 4, 5: We were in the computer lab again today for you to finish your outlines. Many of you were able to get the rough drafts of your body paragraphs typed as well. HW 1, 4, 5: Enjoy your break! HW 2, 3: Relax and enjoy your break! We start Unbroken when we return. Blocks 1, 4, 5: Today in class we were in the computer lab to type our outlines for the research paper. Those of you who had already handwritten your outlines were able to start on your body paragraphs. Remember warm-ups are due tomorrow! HW 1, 4, 5: Warm ups due tomorrow. We will be in computer lab again. Blocks 2, 3: Today in class you continued working on your final drafts of your research papers. You should have created your works cited page as well. Tomorrow all research papers are due. 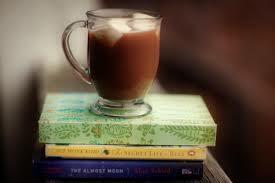 It’s a perfect day to curl up with a good book and a cup of hot chocolate! Blocks 1, 4, 5: Today in class you had the opportunity to start typing your outline for your research paper. If you chose to hand write your outline, that is perfectly acceptable. We will be in the computer lab tomorrow to finish outlines. Some of you will be ready to move on to beginning your rough drafts. Blocks 2, 3: Today in class you had the opportunity to start making revisions/changes to your rough drafts on the computer. We will be in the computer lab tomorrow to continue revisions. We will also create our works cited pages tomorrow. 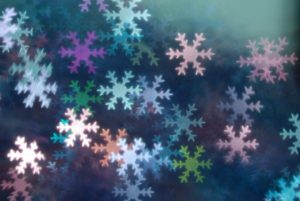 The snow teased us today…it was pretty to look at though! Blocks 1, 4, 5: Today in class you continued organizing your notes; you put them in the order you think they will fit best in the paragraphs of your research paper. Some of you finished organizing and moved on into creating your outline. A big thank you to my peer tutors who learned how to do an outline, then helped teach their classmates. Tomorrow we will be in the computer lab working on outlines. Those of you who will be out on the field trip need to make sure you have ALL your notes organized when you walk into class on Thursday since we will be in the computer lab again. HW 1, 4, 5: Make sure your notes are categorized and organized on your handout. HW 2, 3: Make sure your revisions/editing are done by Thursday at class time.